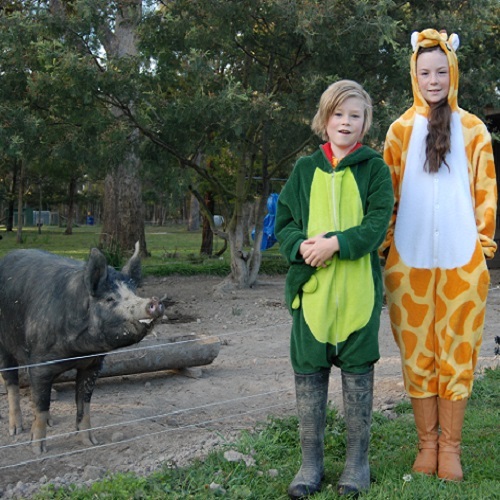 Bring the kids along to Farmgate Festival and show them where their food comes from and what life is really like on a farm! Grab a Kids’ Activity Sheet from the Hub or one of the farms too – children must find the answer to one question at every farm. Drop your completed sheet in to any farm to enter the draw for a prize. Farmgate Festival is also proud to be partnering with The Children’s University. Children already taking part in the Children’s University program can complete the Farmgate Festival kids’ activity sheet and have it count towards their Passport to Learning. The Children’s University – (affiliated with the University of Tasmania) – specialises in innovative education experiences for primary and high school children in Tasmania. Students between 7 and 14 years take part in superior educational experiences, while 15-18 year olds take part in volunteering opportunities outside of school. The Children’s University recognises their achievements through the award of formal certificates and graduations. The program partners with sports clubs, museums, galleries, school clubs, festival and events and more, and has a strong emphasis on experience as a significant learning tool. 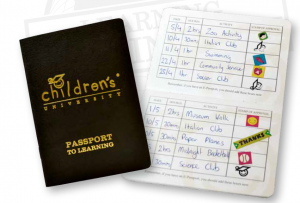 Each child in the Children’s University program is issued with a Passport to Learning from their school in which their hours of activity are recorded. Once they have reached the required number of hours, students graduate from the Children’s University. Activities in the Children’s University program are fun and engaging, and aimed at opening children’s eyes to different activities and careers they may never have heard of. It is about developing a hunger for and love of learning, building confidence and fostering aspirations in all children. Children’s University Tasmania is affiliated with the University of Tasmania and the Peter Underwood Centre for Educational Attainment, a specialist centre established to better understand the issues that constrain Tasmanian educational outcomes. To read more about the Children’s University, please click here.